Andy Cook, Fred Weber, Inc.
NCI Salutes 30 Leaders in Their Thirties luncheon is open to the public. Tickets are $57 each. 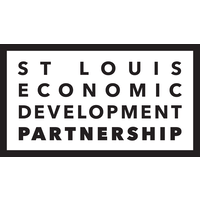 Event sponsors include Christian Hospital, Enterprise Holdings, Negwer Materials, SSM Health DePaul Hospital, St. Louis County, St. Louis Economic Development Partnership, U.S. Bank and Bommarito Automotive Group. Sponsorship packages are available as well as advertising in the event program.